Income Annuities: A Good Retirement Income Choice? Income annuities can get complicated. There are different types of annuities with many variables. Additionally, getting one started often requires handing over a large sum of money. If you are close to retirement (or in it), an annuity may be a good fit for reinvesting money tucked away in savings and CDs, mutual funds, 401(k)s and IRAs. But how do you know which is the right annuity to guarantee a predictable income stream for retirement? Meet Stan. Stan is concerned about outliving his income. He wants to enjoy his retirement without worrying about money. The thing is, he’s read about annuities but is not sure where to start. At this point, annuities (as well as handing over a chunk of money) make him uneasy. He wants to sort this out quickly and get on with enjoying life. He talks to his retirement plan specialist, who breaks down annuities: what they are and how they work. 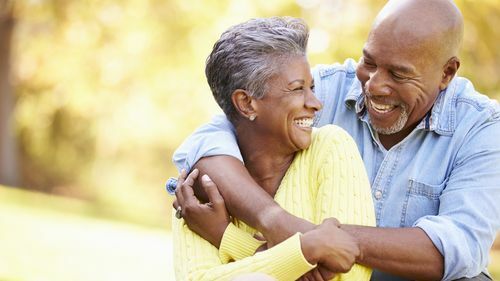 A good way to think of annuities is giving an entity (e.g., an insurance company) a sum of money and in return, getting income payments for the rest of your life (similar to how social security works). A fixed annuity is similar to a bank-issued certificate of deposit (CD). Unlike a CD, the interest you earn on a fixed annuity is tax deferred, allowing you to benefit from its compounded growth. Fixed annuities appeal to people who want a low-risk investment. The rates are guaranteed and generally higher than traditional savings options. Additionally, they are not affected by market changes. With a fixed annuity, you can also pass the asset onto beneficiaries without the expense of probate. Also called deferred income annuities (DIAs), longevity annuities are good for people who are still planning and saving for retirement. Basically, with this type of annuity, you’re turning a lump sum now into income for later. Furthermore, DIAs have U.S. Treasury Department and IRS endorsements. This allows people to roll over their 401(k) into this type of annuity. Also known as a single premium immediate annuity (SPIA), this is a set-and-forget annuity that provides income for the rest of your life. Getting your immediate annuity started requires a one-time, lump-sum investment. And as the name implies, you receive payments right away. Also, your SPIA may include a life with cash refund or life with installment refund. This sets up your beneficiaries (e.g., spouse and children) to receive 100% of the remaining money after you pass. These annuities get a bad rap, as they are often loaded with fees and subject to stock market fluctuations. That said, unlike fixed annuities, variable annuities give you the opportunity grow your capital through subaccounts (stocks, bonds, money markets). In many ways, variable annuities are similar to mutual funds (the main differences being in income and death benefit guarantees and how they are taxed). They tend to be a good fit for long-term investments. When considering variable annuities, have your advisor breakdown all the fees. He’ll analyze the markets and help you choose subaccounts that best fit your risk threshold. The big question: At what age should you buy an annuity? Because your annuity is determined by your life expectancy, the older you are when you buy it, the higher you’ll lock in your payments. He is 65 and has $100,000 he can invest in an annuity. Depending on interest rates, if he invests in an immediate annuity, he’ll get about $6,700 a year for the rest of his life. If he waits until he’s 75, he’ll get around $9,350 per year. Because the $100,000 makes up most of his accessible income, he may want to invest only part of that sum in a fixed annuity. That will ensure he has immediate access to liquid income. Ultimately, Stan has different annuity options: some are geared toward accumulation and growth, while others will provide him with guaranteed income as a known monthly, quarterly or yearly amount (regardless of what happens to the money markets). Stan’s advisor can alleviate his money concerns by helping him diversify and strengthen his portfolio with an annuity. They’ll discuss the pros and cons of each annuity and how the investment will fit Stan’s future financial needs and goals. Setting up your retirement income should not be difficult or stressful. It’s also something to get done now. Hi, I’m Aaron, MSHP’s retirement plan specialist. I can answer all your annuities questions and get you set up with for a financially secure retirement — with guaranteed predictable income. How Does a Fixed Annuity Work and What Are the Benefits? Should You Roll over Your 401(k) When You Retire? Anthony2019-01-24T11:08:59-07:00January 24th, 2019|Finance & Planning|Comments Off on Income Annuities: A Good Retirement Income Choice?